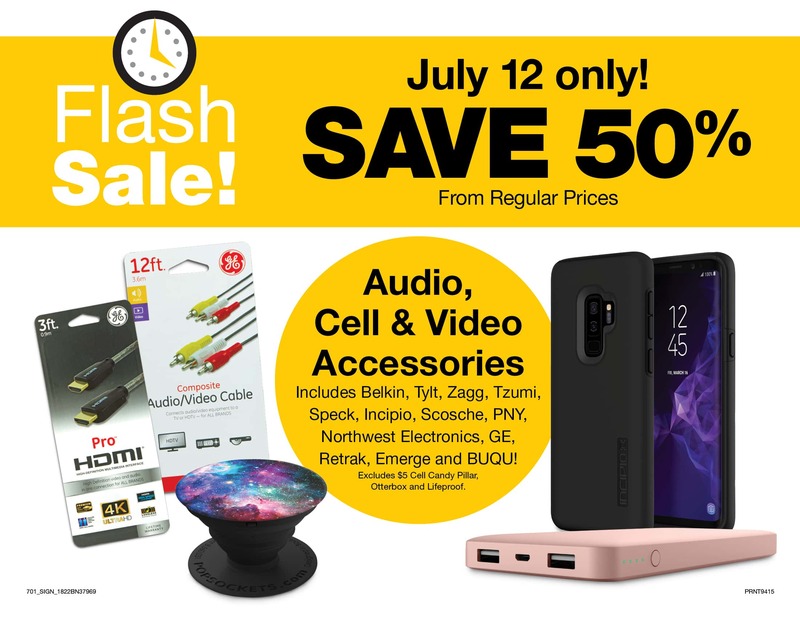 Today only, Thursday July 12, 2018, Fred Meyer is having a One Day Flash Sale with 50% off Audio, Cell & Video Accessories! I love these type of sales to purchase those items that have been on my need list for awhile or to stock up on items that it seems like I’m constantly losing like HDMI cords, earbuds, etc. (anyone else lose these frequently like me? Ha!). Good news is that no coupon is needed for this sale! Just look for the signage around these products. If you don’t see signs, make sure to ask as sometimes they may still be in the process of putting out the signs, but it will ring up on sale. Remember that selection will be limited to stock that is on hand at the store, so I’d get to your store early if you are wanting the best selection. Excluded brands are Otterbox, Lifeproof & $5 Cell Candy Pillars. Let us know your favorite 50% off deals you find in your store? Disclosure: this post has been sponsored by Fred Meyer. Please see our Disclosure Policy for more information.